A genuine interest in the care of animals is essential for this job. Veterinary Nurses (VNs) need to be patient, dedicated and prepared to work long hours for low wages. Exams leading to this qualification are mainly centred on cats and dogs, but a general knowledge of other small companion animals, like birds, rats, rabbits, guinea pigs, fish and mice, for example, is expected. To be considered for entry candidates must be at least 17 years old, are expected to have 5 or more GCSEs at Grade C or higher including English, Maths and at least 1 Science subject. (Comparable qualifications may be considered.) This is a 2-year course regulated by the British Veterinary Nurses Association (BVNA). During their training, student veterinary nurses have varied duties to perform including the less glamorous ones like cleaning cages, kennels and operating rooms. This work is not for the squeamish. There are a lot of routine chores to do that, although they may not seem hands-on, are essential to the efficient running of the practice, for example ordering stock, selling food, reception duties, banking and record-keeping. Under veterinary supervision, trainees learn how to assist with minor procedures in the operating theatre and the consulting rooms. Subjects such as drug protocol, immunisation, preparation of blood, urine and skin samples for laboratory testing will be approached. Student veterinary nurses will be expected to study in preparation for exams and should receive guidance and tutoring from approved practice vet’s and other qualified members of the team. Student nurses may be expected to do shift work and night duty, depending on practice policy. One of the hardest things a professional nurse has to learn to cope with is the use of euthanasia. They must be sensitive to pet owners’ feelings. There may be a few student nurses, qualified VN’s and a Head Nurse, depending on the size of the practice. All are governed by regulations and answerable to the senior vet, who is ultimately responsible for everything in the practice. It is important for all members to communicate well and work as a team. Pay for student nurses is low and remains low for qualified VNs. Practice wages vary, as do rates of pay in different regions so it is hard to say what you will earn as a student VN. Once qualified the salary is usually between £12,000 - £15,000 and for a head VN the salary is around £18,000 per year. For qualified VNs the work becomes more varied. Although still under veterinary supervision, they may be given greater responsibility to carry out more tasks, depending on the practice. 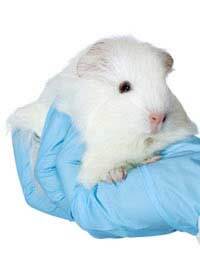 Once qualified they may work at another practice that is not necessarily an approved training centre, or decide to change tack and work in (for example) research, zoos, breeding and boarding kennels, specialist pet hospitals. It is possible to continue studying and take another 2 year course, the Diploma in Advanced Veterinary Nursing (surgical). Becoming a small animal veterinary nurse takes a huge amount of dedication, not only because the work is hard, physically and emotionally and the hours often unsocial, but also because the salary is so low it may be too impractical for some people to consider. However, there are those whose total commitment to the animals and love of the job outweighs everything else.